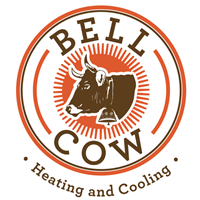 Locally owned and operated, Bell Cow Heating and Cooling is your area’s leader in comfort, combining over 50 years of industry knowledge and exceptional customer service. Great customer service. Very happy with the outcome. Mike Canady came to do our spring HVAC maintenance. He was very professional, informative and thorough. Wonderful people. Fast service. When something went wrong they were fast to act and come out to fix my plumbing problems. Thank you! Great service, friendly and fast technicians. Office staff is great too. Wonderful service, quick to come and fix the problem as always. So glad I know that I can rely on them to solve my heating and air problems. Our Tenant tells us the service was excellent installing the new Heat pump! They had to do a lot of work on the installation and we are so happy,as owners, to finally have the old one replaced. Ron came out to see about installation of a new water heater. He was knowledgeable and suggested a few options to consider. Great customer service. Will recommend this company to friends. Very prompt, professional service at a great price. Also, the staff is very courteous and kind. Thank you!! Called Bell Cow because the heat was not working in my house. They sent a technician out the next day and he not only walked me through the diagnostic but explained what was wrong so that I could understand. He was able to fix it the same day. I’m very happy with both the customer service, how fast it was to get an appointment and that my heat is working. AND it didn’t break the bank. 10/10 recommend! As a matter of fact, I just referred my parents to them. Bell Cow is a very good company that knows exactly what they are doing and they have awesome employees.I highly recommend this company. The service that I received from Bell Cow was excellent. The Service Technician was very knowledgeable and efficient. You have serviced my AC a few times and I was very pleased with the work. Mike went above and beyond fixing the problems with my units. I will be calling this company for any future problems I run into! The last tech that was sent out was very nice. We couldn’t figure out what was causing the smell. He thought it might have been the smells coming from outside. It’s not as bad as it was. He did give us a few suggestions to try. Still haven’t gotten our filters we were promised by Brett. Great service and The guy that came out was very nice and knowledgeable about his job and explained the process to me, which I definitely appreciated. They are very professional, fast and are very experienced in their job. The technician was very knowledgeable and professional. He did the work quickly and was very friendly, he cleaned up after the job and left the house just like it was before he started. Great experience! BH. We can’t say enough good things about Darryl (sp? ), the service tech who came to our house for HVAC maintenance. Absolutely meticulous with his work, very detail oriented, professional, and explained everything to us. Would highly recommend this gentleman, and this company! Knowledgeable technicians with great personalities. Got the job done and left no mess. We were extremely pleased. Thanks. Technician was very knowledgeable, very customer oriented; readily answered all my questions; very happy with my service. Tech was on time and explained the problem thoroughly. Our home warranty company kinda screwed us with getting our heater fixed. Bell cow did everything they could to speed up the process and get someone out to fix our system as fast as they could. Very please with their service. Second time we have had BELL COW. Pleased with the tech who came. Mike was professional and complete in describing the issues and potential solutions. We have used Bell Cow for the last 2 years since moving to North Carolina. They have serviced HVAC units at two of our homes, installing a new system in one of them. Their techs are very courteous and knowledgeable. We have American Home Shield (AHS) and when we need HVAC service, we call AHS and request Bell Cow. They do great work!We prefer them over anyone else! Very good service repairman was prompt courteous knew what he was doing excellent job quick and on time. Service technician was very polite and knowledgable. He gave a 30 minute courtesy call before arriving and was very proficient in diagnosing my HVAC issues. I have used Bell Cow for servicing 3 times now and everytime they either have a technician out the same day or if not the next morning. We recently had a new heat pac delivered and installed by Bell Cow. Great experience. We would highly recommend them! Professional, skilled service! Great company very professional and would recommend them to anyone looking for HVAC service. We purchased a new unit thru them and are very satisfied with it’s performance as well as their service. Clint was a great technician and I'm appreciative of all the techs covering their shoes when they came inside. Thank you Clint for giving "her" a good bath and some sweet talk to keep her going. Quality service. Respectful, efficient & complete. i had a little problem with scheduling, but they're service is worth the wait. Prompt and courteous. Went above and beyond what I expected. Will definitely call again if needed. Excellent service and quick response very professional highly recommended. They have highly knowledgeable service techs will definitely utilize them again should something go wrong with my hvac 👍👍.